Your leading news authority is giving away $10, for the rest of this week, to new players at VC Poker. Best of all, it's catch-free AND we have a huge, exclusive deposit bonus on offer. Every online poker room gives away bonuses. Some are very generous, offering hundreds of dollars for the player if they play a certain number of raked hands. Well, we've got a different kind of bonus on offer for the next seven days. for you to try VC Poker with. When you join just type the bonus code: pokernews in the promotion field on the cashier page. Remember, no deposit is required. Of course, if you like VC Poker but lose your $10 you'll probably want to deposit some cash and play there. So, we also have a great deposit bonus too. There is $300 on offer, or 50% of your first deposit, for new players. Coupled with the free $10 that's a nice $310 bonus to kick start your account. To release the deposit bonus just accumulate 125 action points for every dollar of the bonus. The $300 deposit bonus is EXCLUSIVE to Poker News. 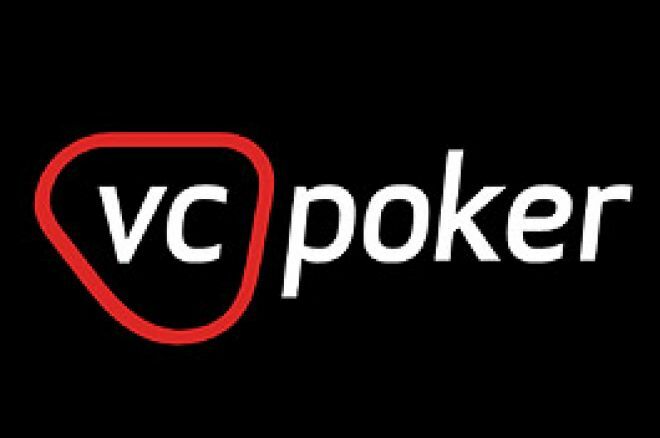 The standard bonus at VC Poker is only $100, we are offering three times that amount to our readers. Players must user bonus code: pokernews1 (lowcase) when making their first deposit. A $20 minimum deposit is required. VC Poker is one of the most trusted and respected on-line poker rooms from the UK. With promotions that include WSOP seats and the exciting STT Frenzy, there is plenty to keep even the most hardened poker player entertained. Ed note: Hurry, the $10 giveaway ends on January 30th. Join VC Poker now and claim your free cash bonus. Manchester United v Liverpool - for Charity at Ladbrokes!